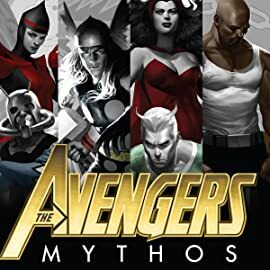 Collects Mythos: Hulk and Captain America; and Avengers Origins: Ant-Man & The Wasp, Luke Cage, Quicksilver & The Scarlet Witch, Vision and Thor. 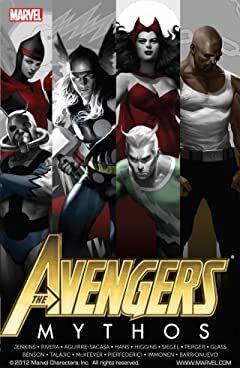 Avengers origins, updated and reimagined! 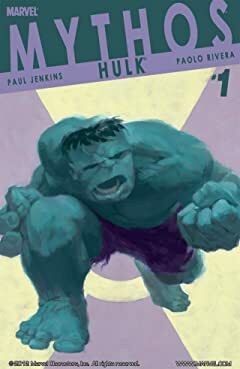 It's a fully painted retelling of the earliest days of the gamma-powered Hulk! 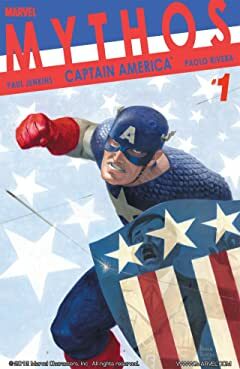 Witness Steve Rogers' transformation from a weakling with a heart of steel into Captain America! Revisit the unlikely courtship of the astonishing Ant-Man and the winsome Wasp! Can a lifetime of good deeds make up for Luke Cage's years spent on the other side of the law? See Pietro and Wanda Maximoff grow from children on the run to Earth's Mightiest Heroes! Tasked with destroying the Avengers, the android Vision must defy his creator. And finally, join Thor for a timeless family drama played out against a cosmic backdrop.